Jesca’s life is full of averages; average childhood, average family, average part-time job with her best friend while she attends college close to home. Life is predictable, controlled, consistent, just the way she likes it, until the odds of averages turns against her and the oddity that that has remained dormant within her can no longer be contained. Under the surface, Jesca’s strong-hold with reality is slowly slipping away. The seemingly harmless nightmares of her youth have turned sinister with ill intention and a realness meant to provoke true terror. The minor trick of the eye revealing a shadow or glimmer of light becomes vivid hallucinations intent on terrorizing her. Her fear reaches extremes when her professor’s presence coincides with her losing touch with reality, leaving Jesca questioning his stalking motives or influence on her shifting sanity. Confronting him is the only answer, and when she does, she is faced with an inconceivable explanation as to why her life is turning upside down; her role as a keeper of our world to save humanity from a potentially unstoppably apocalyptic catastrophe. Upon learning her purpose, Jesca is thrust into a new world of guardianship where training to use her new found abilities is the life-blood of survival for her and the tribe of guardians. About: The Copula Chronicles, Origin, is a roller coaster ride straight into an unreality – speculative, yet plausible. It’s intent on spinning you around in the alternate history of origins of the new world Jesca has been thrust into, theories of genetic engineering and architects of a device meant to create travel within space and time through the cosmos. Make no mistake, your reality will be turned upside down with the techno-thriller plausibilities of what our world and its inhabitants could possess within. 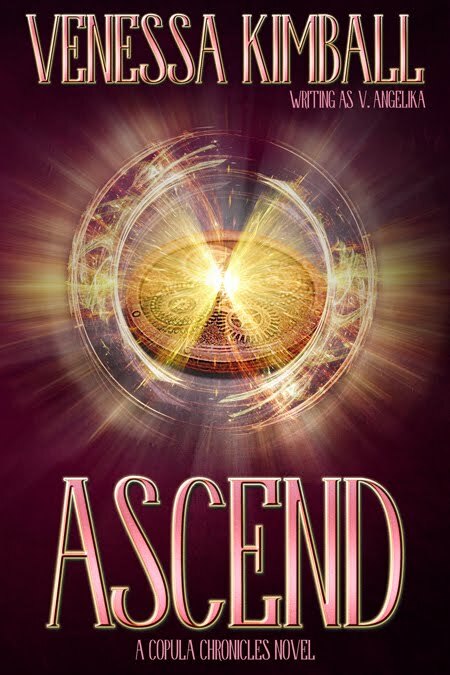 When all is said and done, you will find yourself planted in a new reality of weighty urban fantasy with profound thought-provoking conspiracies of the spiritual and scientific link to our existence and what our world may become now that Jesca’s new reality has been set into motion. Strap in for the ride. The uncovered corruption and conspiracy upon our world paired with the impending catastrophic event honed in on our galaxy threatening invasion and evolution of our world lies in the hands of Jesca and the other guardians that have inherited the earth. The corruption of our world is spreading like wildfire, the between allies and enemies are being blurred, and Jesca’s growing attraction to the two men fighting for her heart could leave her vulnerable. Jesca and her fellow guardians’ fortitude is further pressed when their battle for earth takes them to the far reaches of Japan’s Aokigahara Forest, where the mysticism it covets brings weighted supernatural challenges they could never have anticipated. The predestined links she and the guardians share will either keep them safe or send them into a tailspin of sacrifices that may leave one if not all of them threatened. About: The Copula Chronicles, Descend, pulls you deeper into the inherited reality Jesca and her new found clan of guardians are forced to surrender to in order to attempt salvation for humanity. 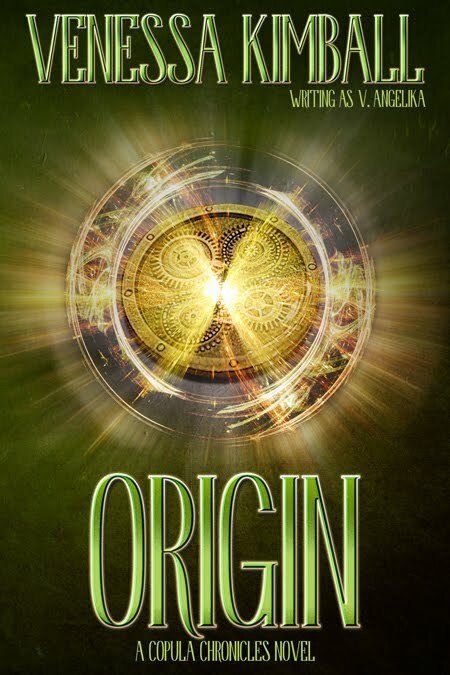 The reality of genetic manipulation, ancient myths and theories, and the immediate threat of extra-terrestrial abduction and invasion are revealed in this second installment of the Copula Chronicles. Edge of your seat techno-thrilling conspiracies paired with dramatic mystery, suspense, and sacrifices are fulfilled in this spiraling global cataclysm Jesca and the guardians are faced with at every turn. With the guardians attempt to stop the global invasion and apocalyptic evolution of the earth, two of the men in Jesca’s life have made the ultimate sacrifice in a daring attempt to save her from near death and keep the veil, a celestial barrier meant to separate our universe from all others, from remaining open. The fate of Ezra and Nate is dismal unless Jesca, Xander, and the other guardians can find a way to get them back, while destroying the evil that has seeped into our world, and sealing the ethereal veil between our universe and the evil that lie beyond it. As Jesca ascends beyond the veil, malignant illusions meant to turn allies against one another are at every turn in this parallel universe. One truth among the illusions is bestowed to Jesca; the celestial inheritance from her ancestors along with the prophecies of what is to come of the guardians and earth. About: The Copula Chronicles, Ascend, takes you beyond the veil of our world and into one beholding the supernatural, spiritual, psychological and techno-thrilling futurism in terrifyingly perfect harmony. With Jesca’s return from beyond the veil with Xander, Nate, and Ezra, they are ushered into our evolved world having advanced years since their departure. The earth’s remaining populous that survived the galactic intersection, the following climatic shifts, and the rigorous genetic manipulation has been stunted by the very beings Jesca and the others encountered beyond the veil. Humankind is being invaded, occupied, and destroyed under their invisible reign. The beings intent? To possess our world and stop Jesca and the other guardians from fulfilling the legacy that could save us all. We are left to hit the ground running upon their return as Jesca brings home new found knowledge of her ancient bloodline and the supernal legacy that has linked her family, the guardians, and the two men she has been torn between throughout her journey. 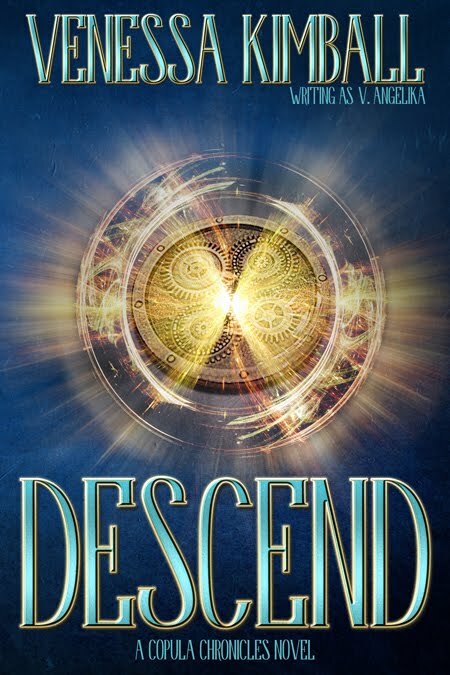 With only Jesca’s visions of what this ancient legacy holds for them, the guardians are depending on the divining glimpses of her ancestry to put them on the path leading to salvation. The question is, will the stakes be too high and the risk to great for Jesca and the guardians to fulfill their destiny? 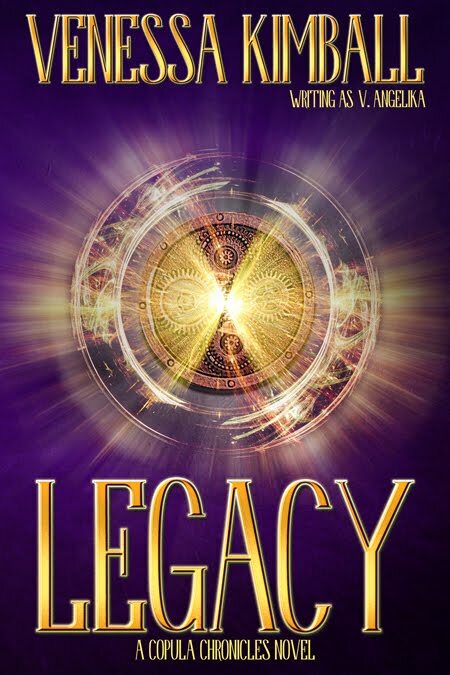 About: The Copula Chronicles, Legacy, is the final installment in this edge-of-your-seat urban fantasy, science fiction fused series and Kimball holds nothing back in her arsenal of spine-tingling, mind-boggling, thought-provoking,mystery-seeking, and heart-pounding content. Having always been passionate about the written word, Venessa Kimball embarked on writing what would become her debut novel, Piercing the Fold: a young adult urban fantasy series in 2010, with a 2012 release with Crushing Hearts Black Butterfly Publishing. She has also written the Teen contemporary romance series, the Evan series. Venessa also writes New Adult and Adult romance under the pen name V. Angelika. When Venessa is not writing, she is keeping active with her husband and three children, chauffeuring said children to extracurricular activities, catching a movie with her hubby, and staying up way too late reading.